Call today for more info on our care manager position! Start your future with Value Options today. Value Options of Latham, NY, located near Albany, NY, is hiring qualified candidates for exciting careers. Working as a care manager, claims processor or customer service representative with Value Options could be the opportunity you've been looking for to jump-start your career and get involved with a business that really makes a difference in people's lives. Value Options is the nation’s largest privately held managed behavioral health care organization, providing customized programs to private employers, health plans, federal, state, and local agencies. With more than 450 employees near Albany, NY, Value Options offers a wide variety of career paths for our employees. There are many opportunities available! Looking to be in the health care field? A career as a care manager might be perfect for you! We are interested in meeting with qualified job seekers who possess a degree in social services, human services, or relevant behavioral health care services. 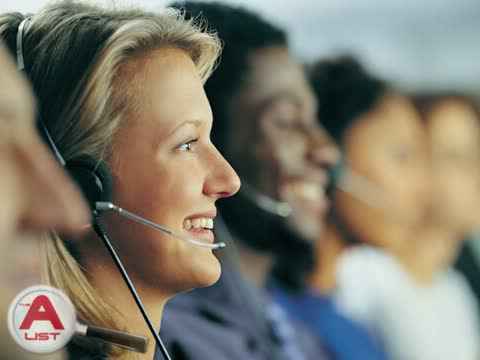 Previous experience in a health insurance customer service call center will also be considered. If you're ready to get started in a new and fast paced career, Value Options can help. We have places available for customer service representatives and for care managers too. If you're looking to get your foot in the door with a great company or to expand your resume, there is no better place to get started than with Value Options serving Albany, NY. As a customer service representative, you'll apply critical thinking and problem solving skills to helping customers navigate issues and address concerns in our call center. This opportunity is well-suited to someone who enjoys helping others, has excellent communication skills, and is able to think on their feet and take initiative. If you are looking for a customer service representative job and think you are a good fit, we are here for you. In this fast-paced career, we always need representatives who are customer oriented and are strong problem solvers. If you believe you would be a good fit to work as a customer service representative, apply today! We are looking for a dynamic individual to join our growing team as a claims processor in the Albany, NY area. In order to fulfill the team's purpose, the claims processor will be responsible for ensuring all paper documentation is recorded accurately and in a timely manner. This role is more than data entry, as you will have to learn about Medicaid to schools programs in order to ensure districts are getting what they are entitled to through the program while maintaining compliance. Are you in search of a new job? If you reside in Albany, NY and are looking for a professional career, we may be able to help you. We have various openings available with our reputable company. Out of the many job openings available, we are also searching for the right candidates for the role of a claims processor. If you have a college degree and are excellent at communication skills, this may be the perfect opportunity for you. Contact us today if you wish to apply for the job of a claims processor. As a claims processor, you'll be tasked with managing and evaluating claims coming through our office. You'll be approving claims, as well as researching any concerns that come across your desk. Previous experience in claims processing, medical billing or health insurance. Working as a claims processor is a great career that gives employees a diverse skill set. If you feel that you're a great fit to start a job as a claims processor, we invite you to contact our office. Value Options is always searching for hard working individuals in the Albany, NY region. We have other positions open in a wide variety of areas as well, including work as a care manager. If you are searching for a claims processor job, come visit us today! If you are interested in pursuing a career in the health care manager field, we have are your solution! Value Options of Albany, NY will provide the necessary steps you need to excel in your position. We understand that care management is important and we strive to form you in to the best employee you can be! If you believe you have what it takes to be a care manager, please give us a call. We would love to speak to you! Contact Value Options now to get your career on the fast-track with an established company offering lots of room for growth! If you are a career focused and motivated individual who has a passion for assisting customers in a call center environment, please consider career opportunities through Value Options. You may have a future as a care manager with Value Options! If you're looking for a job in the Albany, NY area and work as a care manager interests you, call today! Value Options employs more than 450 individuals just like you in the Albany, NY area. With a wide variety of satisfying career paths available, as well as potential medical, dental vision and life insurance benefits, we're one of the best companies in the area to work for. We offer career development within a performance based environment and recognize employees who demonstrate their passion and dedication to our customers by promoting excellence in all of their daily functions. To learn about available positions with Value Options, contact us directly. Remember, when you are in the Albany, NY area looking for careers as a care manager, claims processor, custoemr service representative, and many other opportunities, rely on Value Options! Call us today to jumpstart your career and learn value skills! When you choose us, we are certain you will be setting yourself up for great opportunities in the future! Value Options could be your next employer! A career as a customer service representative with us is rewarding, fulfilling and offers opportunities for growth. If you're in the Albany, NY area and you're interested in working as a care manager or claims processor, give us a call today!